A preacher curl bench is a strength training machine for arm muscles, especially the biceps. The exercises are called Larry Scott curls or Scott curls and have a training effect on the biceps muscle of both arms. An EZ bar is necessary for exercising. 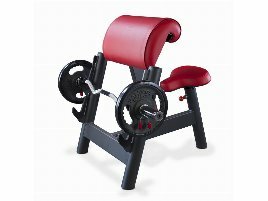 How does the training on a new or used preacher curl bench work? 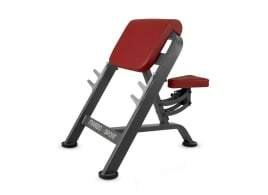 The athlete sits on the padded seat of the preacher curl bench and the legs have a strong standing position. 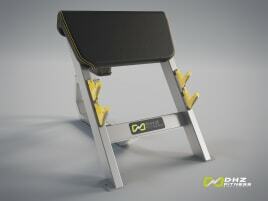 Thigh and calf need to be in a right angle position while the upper body is pressed on the padding. There are also new and used preacher curl benches without padding for the upper body, then the chest needs to be pressed on the upper edge of the arm padding where the upper arms rest. The athlete holds the EZ bar with an underhand grip. For beginners it is often more comfortable if the EZ bar is handed over from above by a training partner instead of grabbing the bar for themselves. To protect the elbow joints, the arms should not be stretched completely. Afterwards the forearms have to be curled as far as possible to the own chest. The EZ bar should be at the height of the throat or chin. At the end of the exercise on the preacher curl bench, the EZ bar should be let down and forward slowly and concentrated. Like with all other exercises, it is important to do warming up in advance to avoid injuries when training on a new or used preacher curl bench. Beginners should do this exercise only with a training partner or fitness trainer who is able to control posture and weights. 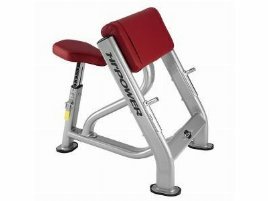 If you don’t have enough time to go to a gym but want to strengthen your biceps muscles, it is a good alternative to buy a new or used preacher curl bench for your home. 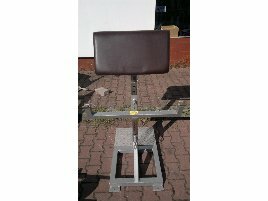 On fitnessmarkt.com you can find a wide range of new and used preacher curl benches. 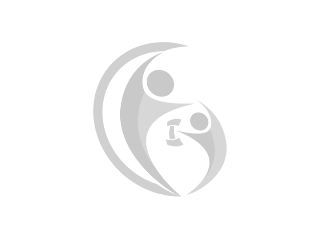 In any case you should get advised by an expert before using new or used gym equipment to avoid injuries and get instructions on the correct posture and weights for the initial training phase. 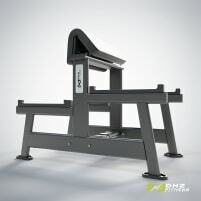 Of course it is equally important to do warming up before using a new or used preacher curl bench when training at home. 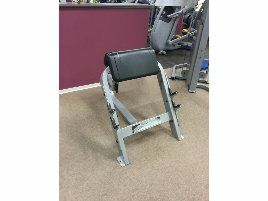 Are you closing down a gym and want to sell used preacher curl benches? 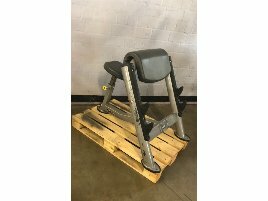 On fitnessmarkt.com you have the opportunity to insert new or used gym equipment like new or used preacher curl benches and offer it to a large number of prospective buyers. A detailed description as well as some pictures of the new or used machine are recommendable so the prospective buyer has the most important information just at a glance.